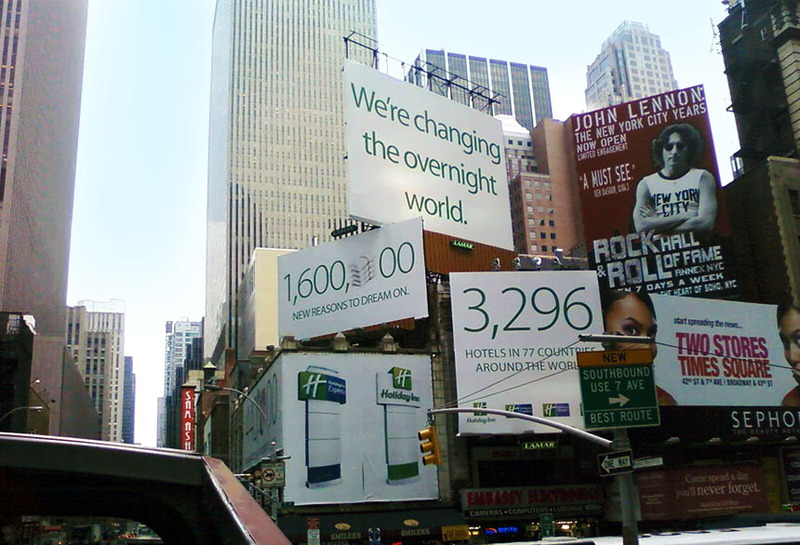 Holiday Inn used four adjacent Wallscapes in New York City, NY to advertise why their inns were superior. The three simple slogans and logo created an enormous composition. Together these Wallscape creatives drew the attention of passing motorists and pedestrians in the busy city.